The form for students wishing to have an internship approved can be found here. The Mentor’s Report form can be found through this link. For students needing to evaluate their experience at an internship, please fill this form here. Every intern must prepare a professional resume, a cover letter, a LinkedIn Profile and a portfolio website/blog (can be the one from classes) when applying for a internship or job position. Students can submit drafts to the internship coordinator for review, but are not required to. Many an applicant has lost an interview opportunity because of a resume with typos. Don’t let that be you. Once the internship is identified, the internship program must be approved by completing the Internship Approval Form. The form should be submitted to the internship coordinator prior to registration and before starting the internship work. Questions? 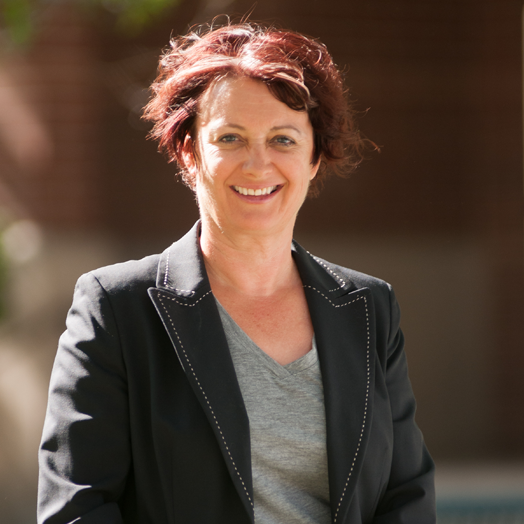 Contact Alison Gaulden, APR, internship coordinator and lecturer, gauldena@unr.edu, 775.784.4459. During the semester, students will attend three class sessions in addition to working with a professional mentor. Students and mentors negotiate the student’s schedule to meet the required hours. We encourage companies to offer paid internships. We do expect mentors to pass the U.S. Department of Labor Intern Test, especially if internships are unpaid. Students find their own internships. We are developing resources for known internship programs across all media (News, Strategic and Visual Communication) locally, around the state and across the country. Check Places to Intern-this is an incomplete list of sites where RSJ students have done internships in the past few years. They may not have positions posted, so seek them out for opportunities. Look for posted positions here. Check out virtual opportunities such as CelebrityChefCafe.com. or MEOJOBSONLINE.com. Research press clubs across the country that have aggregated internship and scholarship info such as the Sacramento Press Club. Internships must be completed at sites where mentors are experts in the work you are to perform. Many internships are posted in sites such as Indeed.com or Internships.com. Look at pre-professional organizations such as PRSSA or AMA which provide exclusive internships for members. Many companies may not post internship positions. Research companies that interest you and ask if they’d offer an internship position. If you are having challenges finding an internship, work with the internship coordinator for suggested ideas. You must complete J107, J108, J207 and J208, with a cumulative 2.5+ GPA or higher for those four classes, as well as an overall 2.5+ GPA for all classes taken to-date. Once these core classes are complete with satisfactory grades, you can perform your internship during a regular semester, during the mid-winter break, or during the summer. The flexibility is up to your availability and the mentor’s needs. Internships can range from 40 hours a week for 3.5 weeks or 8-10 hours a week for 16 weeks, but must fulfill the 120 hour requirement at a minimum. Time must be tracked with the mentor to complete the required hours as part of passing the course. Absolutely! We encourage mentors to compensate interns for work performed. Not all organizations or companies are able to provide paid internships. Students are responsible for negotiating their salary, schedule, and compensation. Three one-hour class sessions are planned each semester. Students will learn the class dates prior to the semester beginning. Location to be determined. Attendance is mandatory. Course is live streamed for those out-of-area unable to attend in person. Special appointments may be arranged between the Internship Coordinator and students when there is a proven schedule conflict. Class sessions will cover internship goal setting, overcoming challenges, time management, personal branding on social media, maximizing LinkedIn and other social media for job searches, tips on resumes, cover letters, portfolio ideas, interview tips and negotiation. During the semester students will be placed in a private Facebook group where each will be required to write weekly posts structured to provide personal social media branding practice or reflections on preparedness and the internship experience. Second the student completes entitled Student Evaluation where they will review their experience of the internship site. This remains confidential. Third and final is the online evaluation request from the University about the Jour 499 course and instructor. This also remains confidential, but the instructor is provided feedback. Your final grade will be “Satisfactory” (equivalent to “C” or better) or “Unsatisfactory” and will be determined by the Internship Coordinator. Mentor feedback and the completion of internship posts and attendance to mandatory class sessions will be included in consideration. All writing for the mentor, communication with the Internship Coordinator and social media discussion/reporting must be free of misspellings, grammatical errors or other unclear or ineffective writing; grades will be lowered if such errors occur. An otherwise “Satisfactory” internship could be reduced to an “Unsatisfactory” grade if such writing errors occur. The essence of journalism is to get it first, but first get it right. We have three rules that we live by every moment that we practice our profession. They are: Accuracy. Accuracy. Accuracy. In research. In presentation. Even in social media. Interns should treat this work experience with the highest professional approach. A workplace is different from the campus. Students should wear appropriate business attire. Good grooming and good manners are important attributes of a successful professional. Promptness, reliability and honesty are extremely important. Interns should report for work at the assigned times, meet deadlines for the mentor and the Internship Coordinator and communicate with both frequently to become successful practicing media professionals. You will find that your classroom work has not taught you everything you need to know to work in a specific workplace. If you don’t know something or don’t quite understand how to carry out an assignment, ask! The internship experience can be of great value to you. Many interns find permanent jobs with the organizations where they are interning. Often, mentors or other members of those organizations can provide valuable references for employment elsewhere. The internship experience usually involves a lot of work, but it also can be fun. Good luck! Your standout cover letter and stellar resume opened the door and you’ve landed an interview, now what? Be prepared. Research the company, know what they do and how you’d fit in. For question ideas click here. DO NOT bring your own coffee cup or water bottle. Know how long the interview will be and plan for parking and associated costs accordingly. Arrive 15 minutes early. Don’t arrive too early. Never arrive late. DO bring several copies of your resume. Take notes. It sends a message you are taking the conversation seriously. Prepare a call to action statement. State any final information you didn’t have a chance to share or restate the best of your talent as a fit for the company. Inquire about next steps in the hiring process and when they intend to make a decision. This gives you a sense of when to reach out to follow up. Wait to negotiate salary once they offer you the job or internship. Don’t bring up finances in the interview. Send a hand written thank you card as soon as you get home. Few will do this; yet that thank you note can set you apart. Finally, RELAX. You’re are there to talk about you. No one is a better expert about that topic than you are. Be yourself. Resume is the first impression to provide prospective internship mentors or employers information about you and why you could be a good fit for their organization. Whatever you do, make sure the documents are 100% error free-too many students have lost opportunities because of typos on their resume. If you can’t make the most important document about you without errors, how will the employer know you’ll represent them with error free work? Craft a different cover letter and resume for every position. however brand the resume, cover letter and reference page with the same “logo” or look. The cover letter should show your passion for the company, your skills related and how you stand out for them. Provide all contacts and social media in your header. Insert key words from job description appropriately within your skills. Provide measurable outcomes rather than list tasks of the job. Use a wide vocabulary of active words. Include class projects, especially those with real clients. Don’t add references-they go on a separate page. Leave off the objective. Use the space to expand on skills and proficiency. Never lie or falsify information.